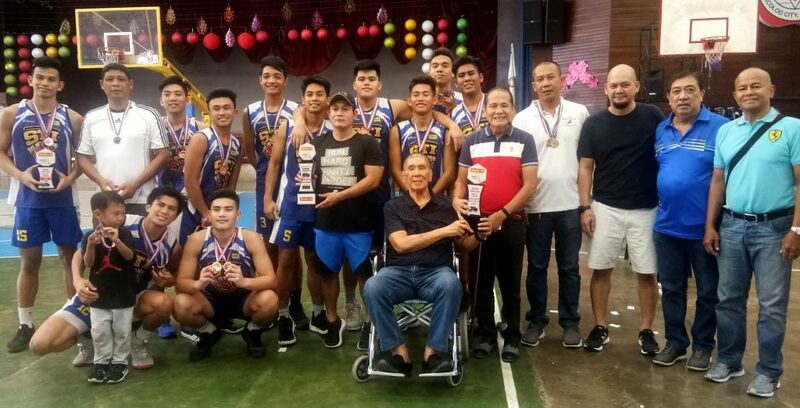 STI-West Negros University (STI-WNU) recently captured the National Basketball Training Center (NBTC) regional finals after beating San Carlos City, 101-76, in the finals at the St. John’s Institute gym in Bacolod City. The win earns the Mustangs a spot in the NBTC national finals, which are scheduled to take place next month in Manila. Cloyd Seballos landed five triples and finished with 19 points for STI-WNU, while Aldave Dave Canoy added 16, Cyrill Nenecio – 15, and Rolando John Ruiz – 14. Holding to a slim 23-17 lead after one period, the Mustangs started to pull away in the second quarter with balanced offense from Nenecio and Seballos to build a 40-31 halftime advantage. Mike Boniel kept San Carlos City afloat in the second half as he cut the deficit to 56-51 before the Mustangs went for a finishing blow in the fourth, behind Canoy and Ruiz, for its largest lead of 73-55. Meanwhile, following the NBTC regional tournament, STI-WNU will be competing in the Western Visayas Regional Athletic Association (WVRAA) meet, which is set to begin on Sunday, February 17, in Roxas City, Capiz.